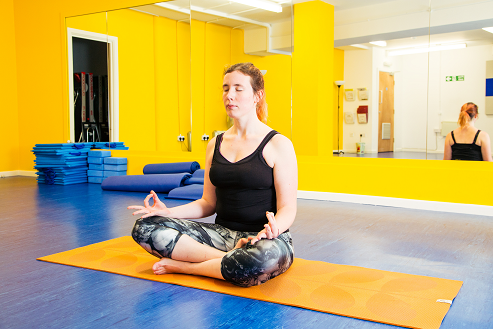 The Birmingham LGBT Centre offers a free programme of weekly classes and activities on site, taught by professional instructors, and including yoga. Yoga is a great way to nurture your body, mind and breath, offering far more than just a physical work out. Anna’s beginner classes offer an introduction into the different components of yoga, including pranayama (breath work), asana (postures), vinyasa (flowing sequences) and yoga philosophy. Her progression group supports those who already have some experience of yoga to continue to develop their practice. Pilates is a great class for your posture and core, keeping the essential muscles mobilised and strong for life. It involves small, controlled movements and although we spend most of the class lying down, you can definitely feel it working! During each class we work through a variety of exercises, so you won’t get bored and you should soon feel the difference! These are all held in the ‘Vault’ Fitness Studio at the Birmingham LGBT Centre. You can come along to a class whenever you like. It’s a good idea to arrive a little before the start time especially the first time as there are some forms to complete before your first class.